People in waiting rooms for eye doctors generally fall into two categories: dilatees and those waiting to drive them home. Below is a portrait of the latter. 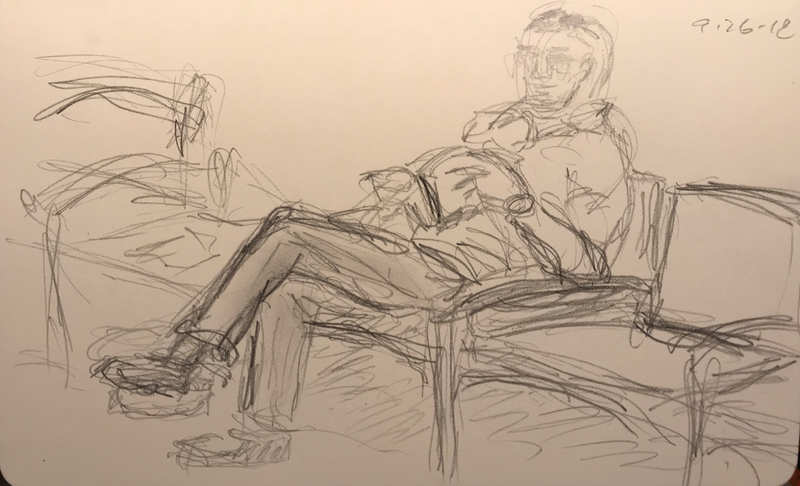 This entry was posted in Personal Stories and tagged art, artistic process, creative process, dilated eyes, doctor's office, drawing, pencil sketch, portrait, sketch, Waiting Room. Bookmark the permalink. I think this one is one of your best. And I can relate to the environment – I am the dilatee and my husband my driver. This could be him, except that he probably was reading on his phone.